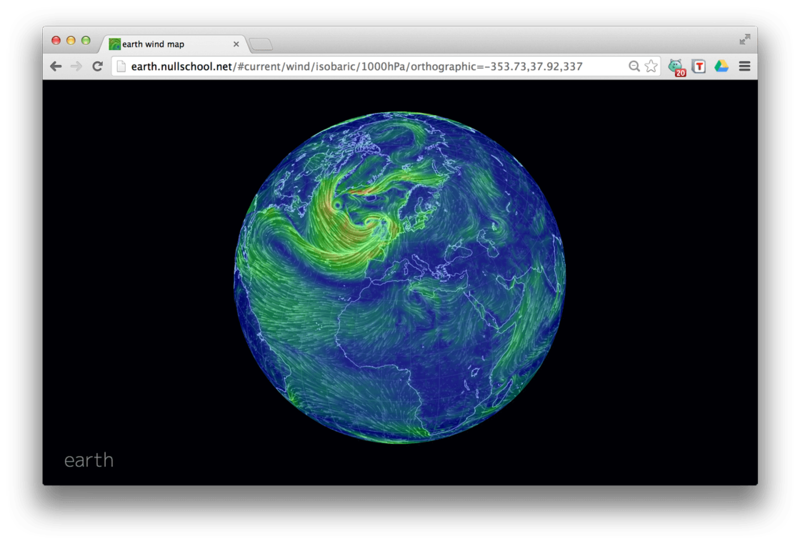 Uses real weather data. Built on top of d3.js. Click on the word earth to change height, projection, etc. Changing height allows you to see the Jet Stream.